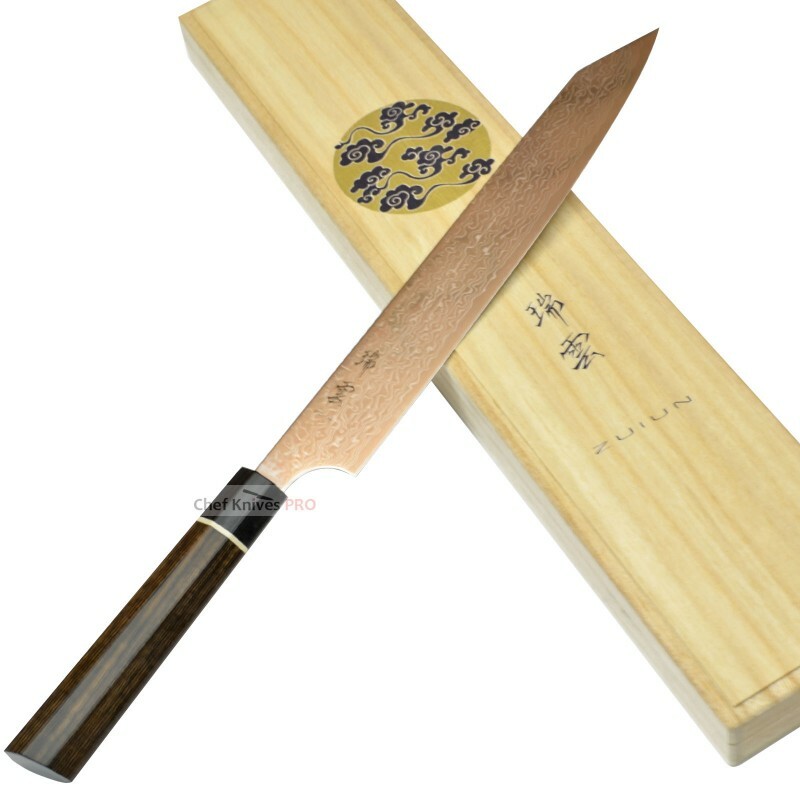 Sujihiki blade is elongated and thinner than Gyuto (butcher knife for meat) and used primarily to cut apart large piece of meat. 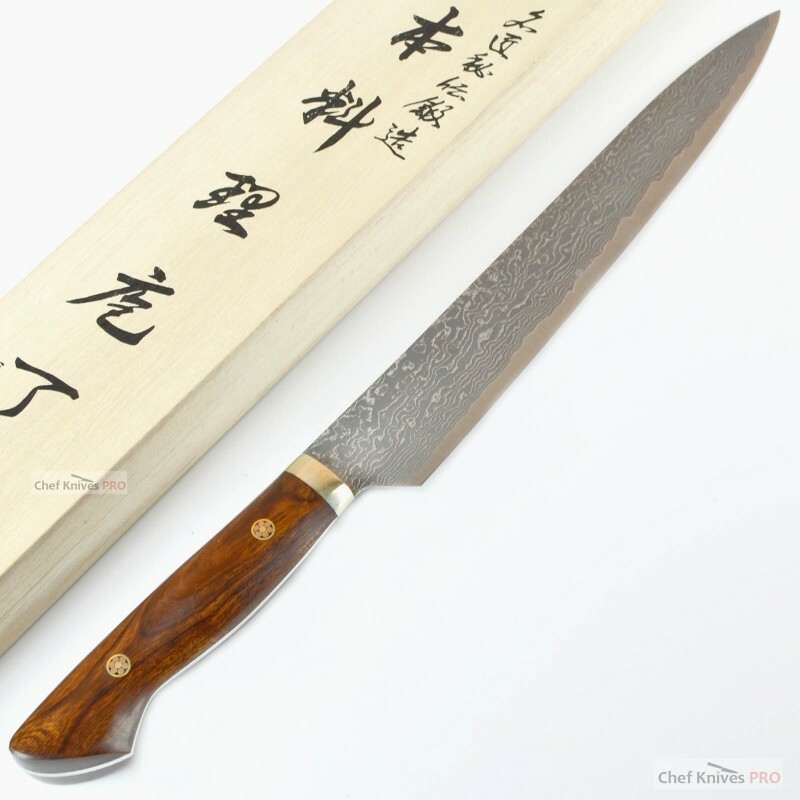 This type can easily cut away meat with the tendons still intact when slicing the beef shank hung by a S hook. 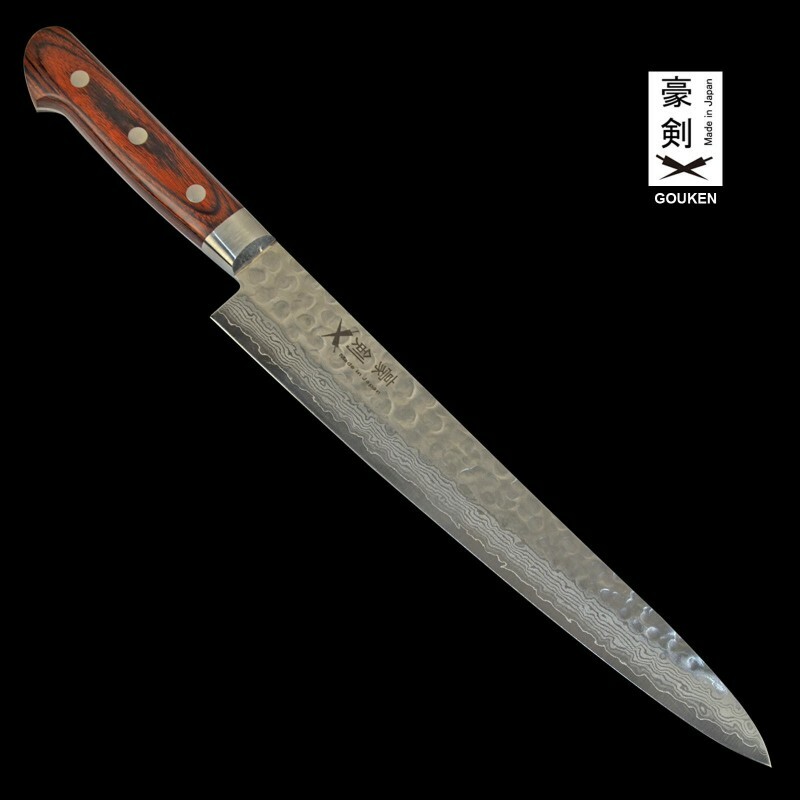 The Sujihiki knife’s true purpose extends further to dividing the meat through the tendons into blocks of few kilograms. 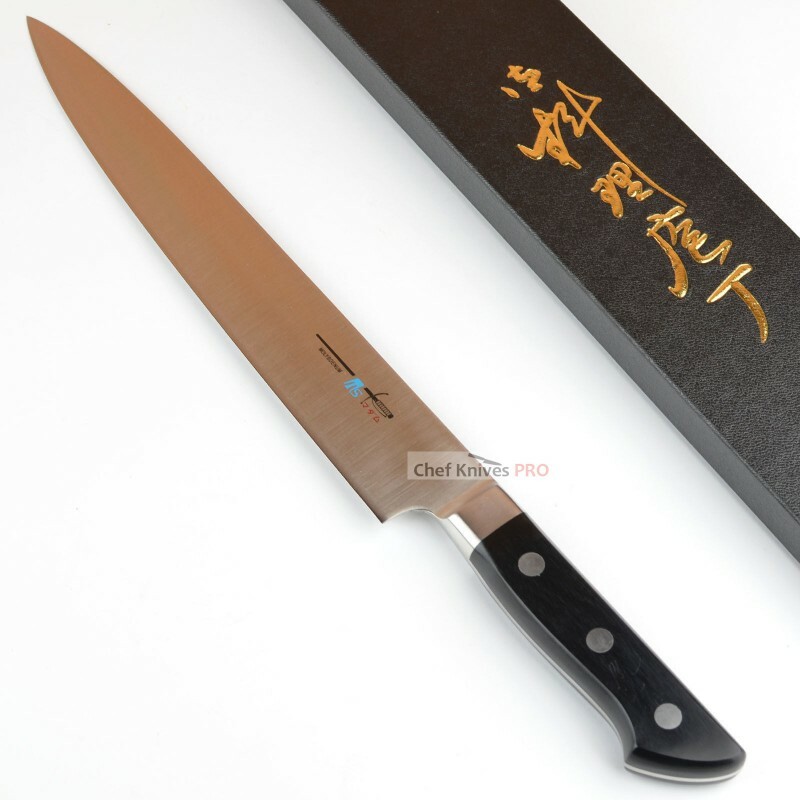 In restaurants, the more expensive the ingredient becomes, such as file mignon or sirloins, tendons that are hard to bite through are carved away in preparation. 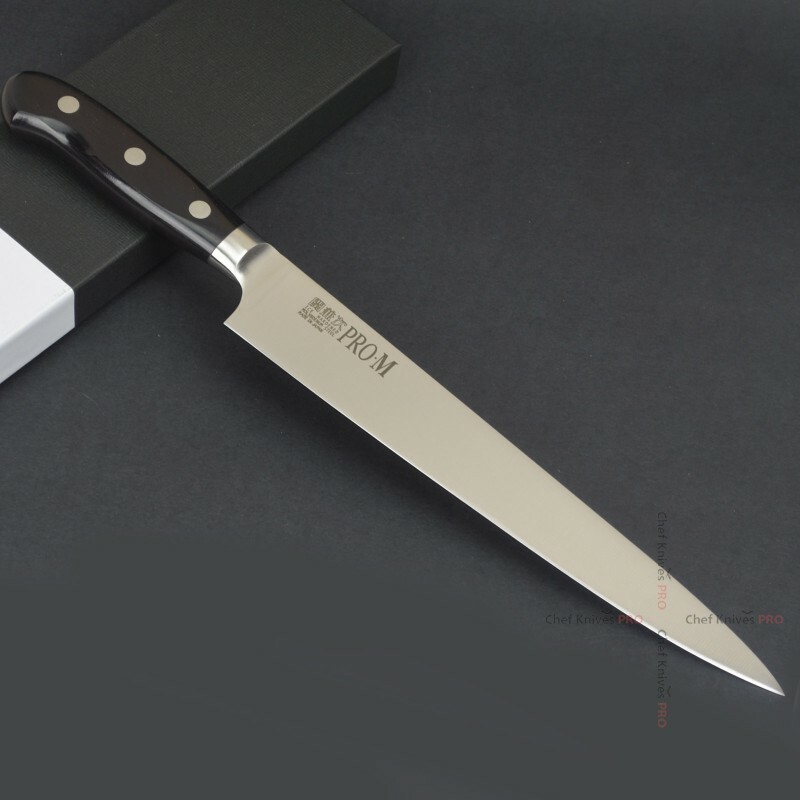 Since the blade is thin, it can cleanly remove the tendons without wasting any meat, preventing loss, which makes this knife an indispensable knife to professional chefs handling beef products. 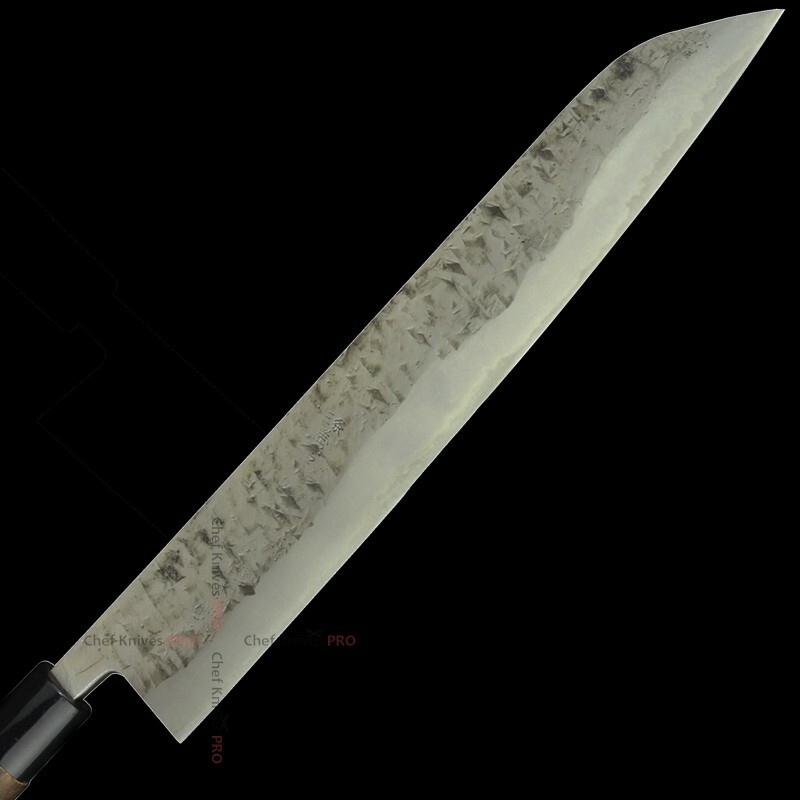 Brand New High Quality Hand forged hammered Slicer Knife Material - VG-10 Hammered Damascu.. 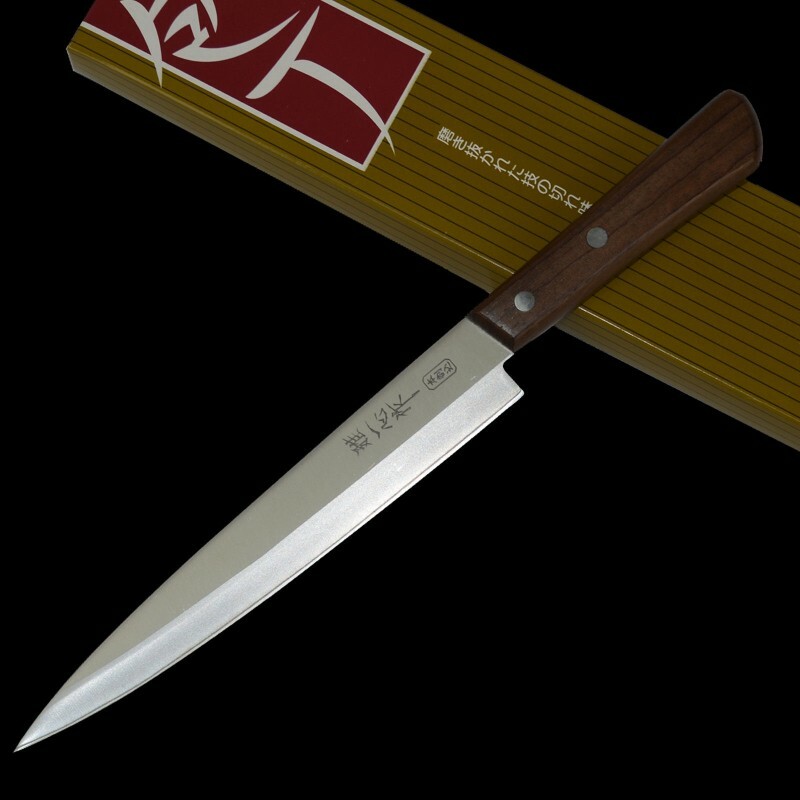 Brand : TS madamModel : Bolster SeriesType : Slicing KnifeTotal length : 390mmBl.. 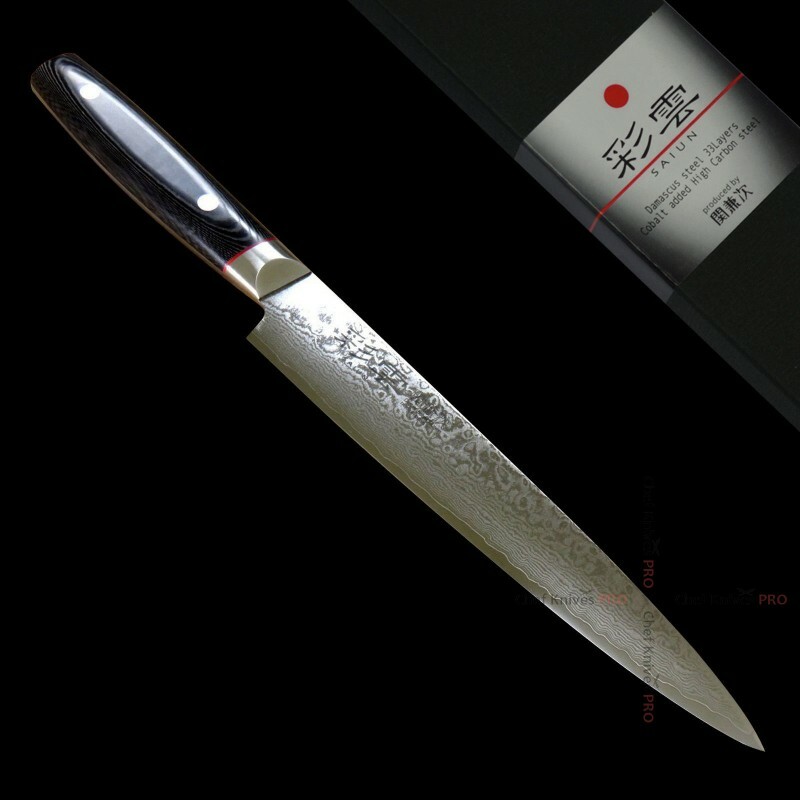 These are very interesting knives. 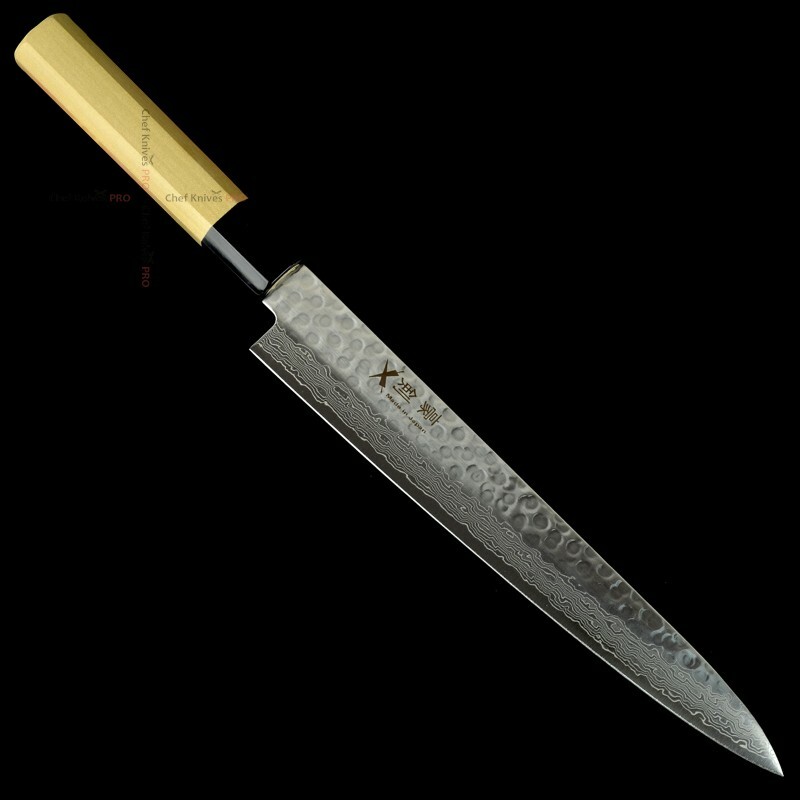 Kawamura san have a unique kurouchi patterned finish in..
Zuiun SPG2 steel Damascus Kiritsuke Sujihiki with Heptagon Special Handle.The "Zuiun" is the 100th-a..